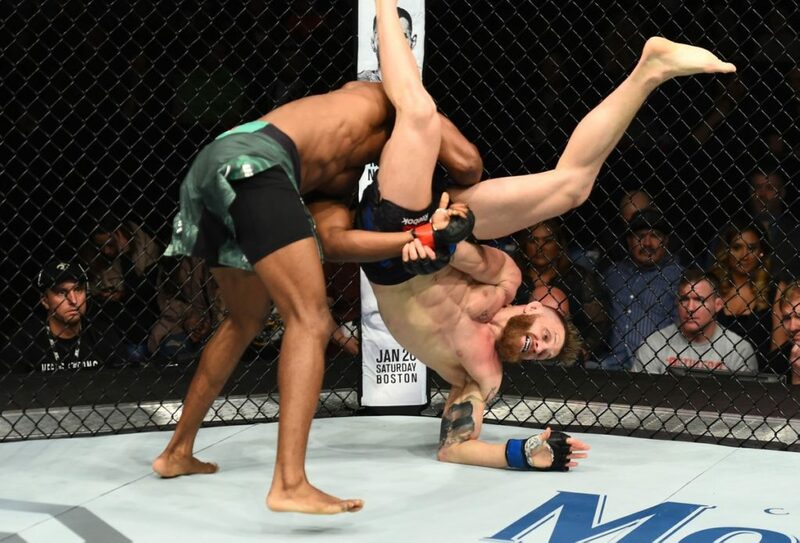 From bell to bell, Kamaru “The Nigerian Nightmare” Usman dominated Norwegian born Emil “Valhalla” Meek, putting on a wrestling clinic and giving an impressive performance against a worthy up and coming contender. 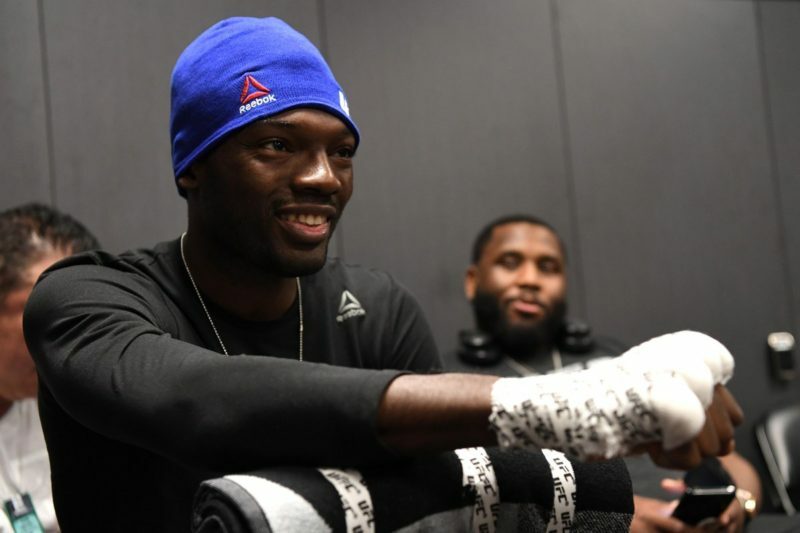 Heading into UFC Fight Night 124 taking place in St. Louis, Missouri, anticipation was looming around the significant welterweight bout between #10 ranked Kamaru Usman, and up-and-coming UFC newcomer Emil Meek. 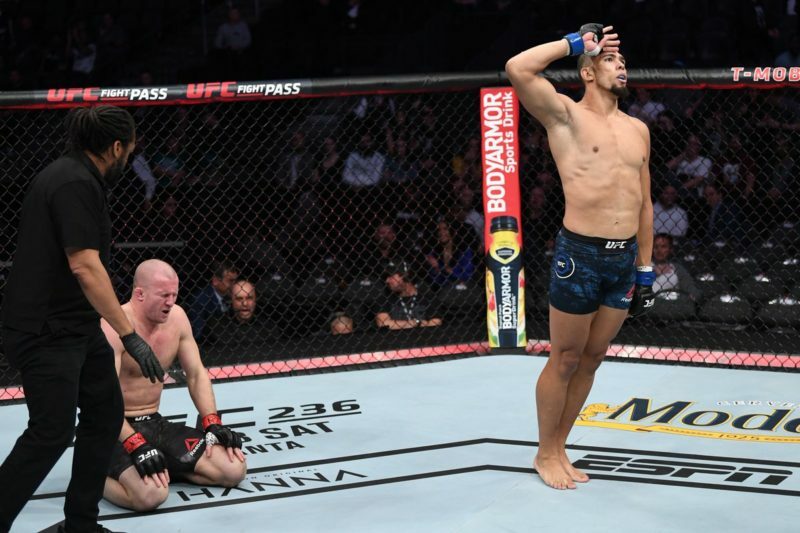 With the ever-dangerous striking of Meek and the tenacious wrestling of Usman, this bout had the classic feel of a striker vs. wrestler matchup. Although on paper it seemed as though the similar size and experience of both opponents would call for a relatively even matchup, at the start of the first bell, it was clear that Meek was no match for Usman’s relentless takedown ability and positional control. 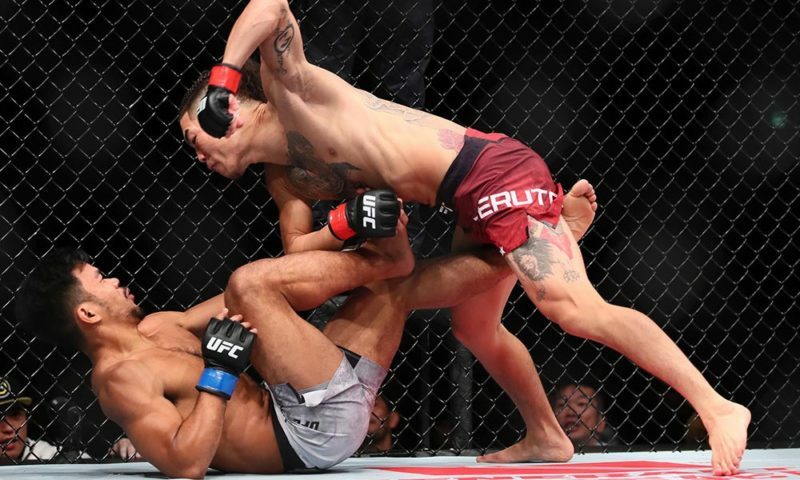 Looking to cement his advantage on the feet early, Meek came out ultra-aggressive and started throwing heavy hands within the first few seconds of the fight, which left him open for a double leg takedown from Usman. Meek sneakily latched an arm-in guillotine in the scramble causing Usman to methodically pressure his way out of the position. 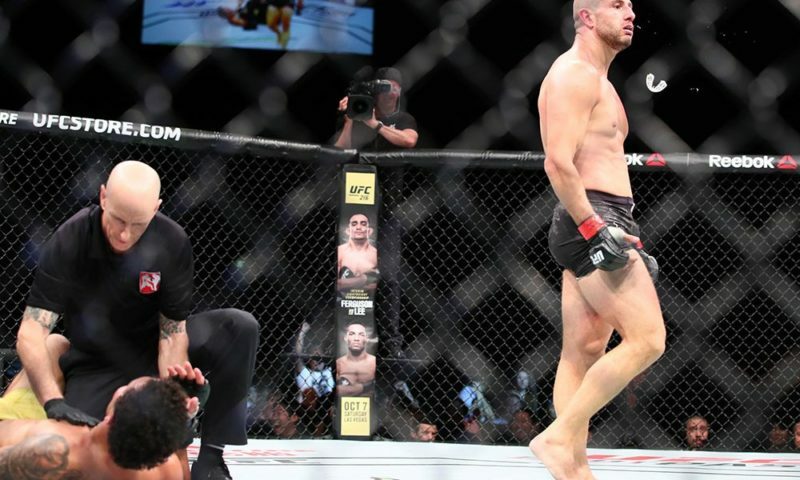 After defending the guillotine, Usman displayed his impressive wrestling and top control ability by smothering Meek and landing a few significant strikes from the half guard. After causing a scramble, Meek was able to return to his feet but was immediately pressed against the fence where Usman is at his best. Once again looking for a submission to defend against the takedown, Meek attempted to utilize a kimura on Usman’s left arm as he remained against the cage. Unsuccessful in his attempt, Usman once again drove Meek down to the mat where he landed significant strikes from top half guard to end the round. Realizing he had little to offer Usman on the ground, Meek again come out aggressive on the feet against Usman upon the start of the second round. Landing a few body kicks, Usman eventually dropped for a single leg which was successfully defended by Meek and even met with a spinning back fist after the scramble. Unfazed by the hard strike landed my Meek, Usman pressed forward and once again forced “Valhalla” against the cage. Having studied Meek’s defensive strategies against the cage in the first round, Usman seemed even more dominant in the second round taking Meek down via a slam from the body lock position on numerous occasions. 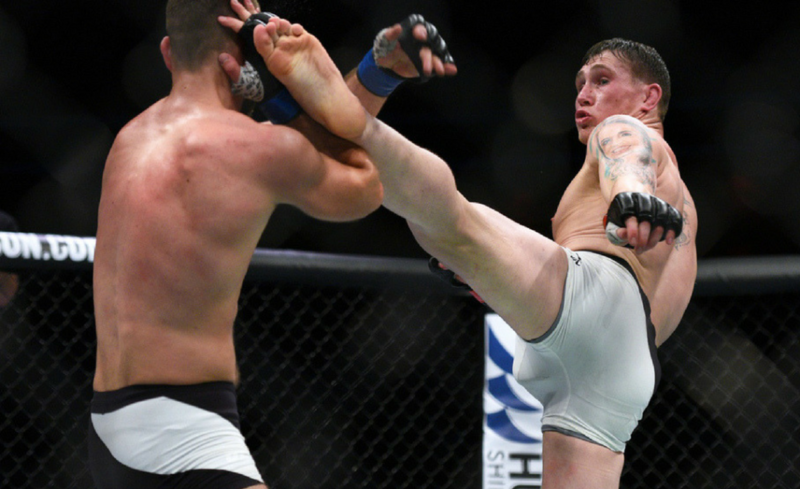 From here, he continued to land strikes from the ground to both the body and the head from full and half guard. As round three began, Meek again attempted to aggressively finish the fight on the feet but was met with another takedown from Usman. 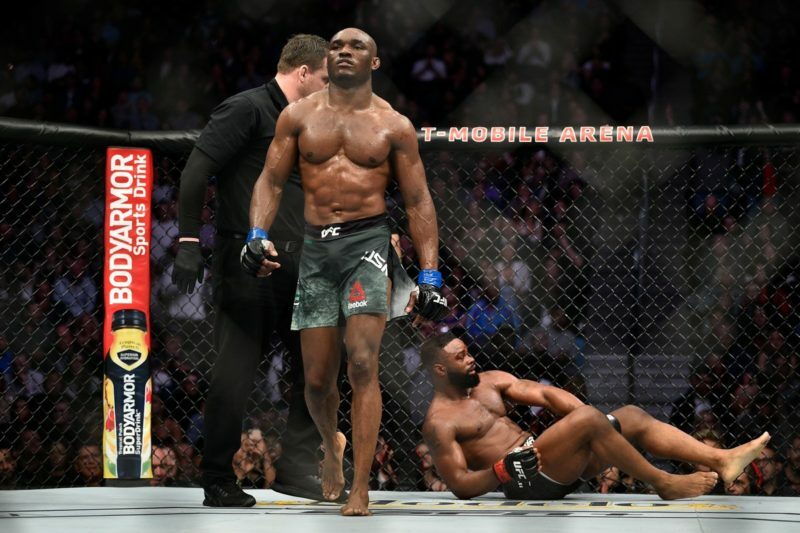 After a break in the action from a low blow to Usman caused by a front kick from Meek, Usman continued to press Meek against the cage and search for the body lock where he continued to slam Meek to the mat. From here on out it was clear the Meek was simply no match for the well-rounded ground game of Usman. The Nigerian pressed forward into the round finishing takedown after takedown and landing more strikes on the ground. 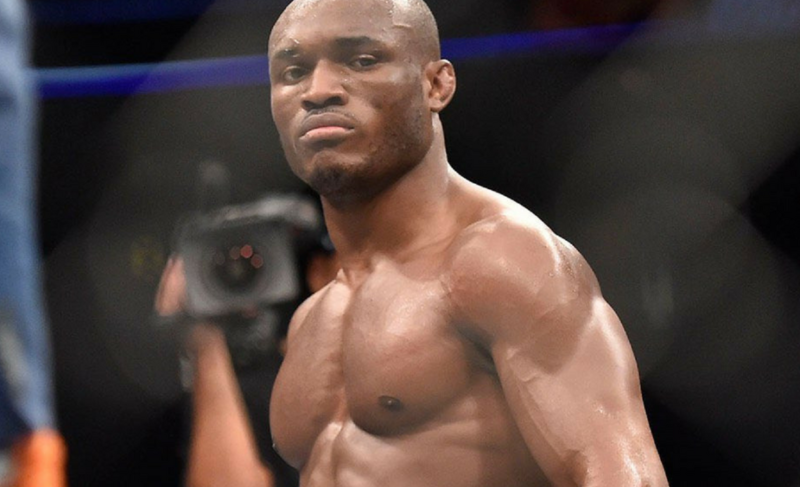 In an attempt to sway the tides, Meek threw a number of elbow strikes from the bottom but proved to be unsuccessful as Usman pressured his way into winning a grinding three round decision. 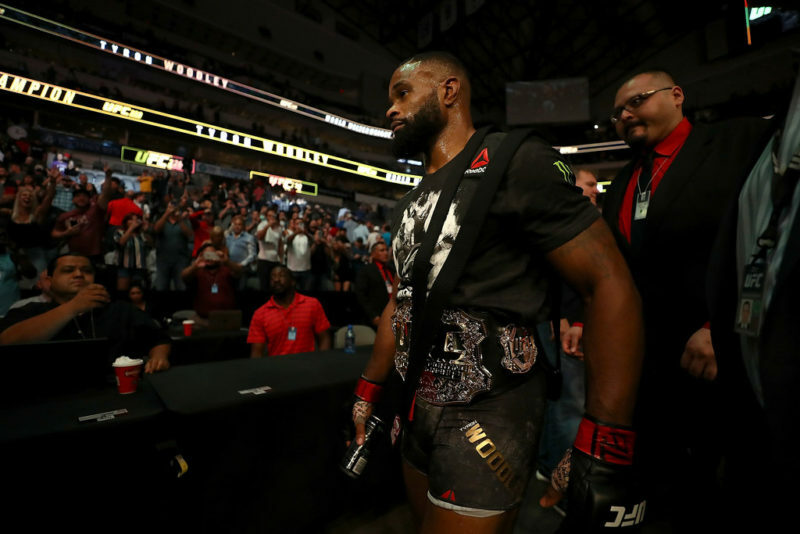 Usman stated in his post-fight interview that he was able to finish a dangerous prospect at only “30 percent” and then proceeded to call out top #5 ranked welterweight Colby Covington. 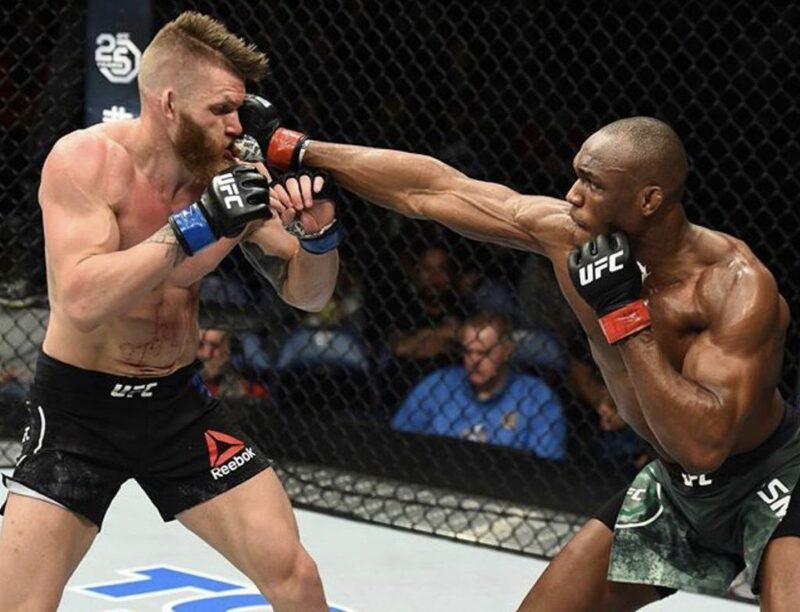 Although not necessarily the finish Usman had hoped for, his ability to smother and break high-level strikers was certainly put on display this evening as he handily dealt with the dangerous Emil Meek. As for future matchups, he poses a very serious threat to anyone in the division who lets him close the distance and press them against the fence. 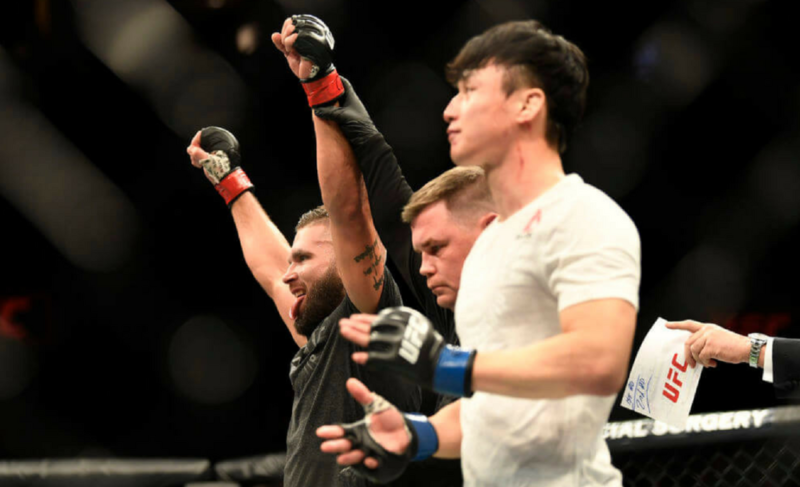 A matchup with Rafael Dos Anjos posses an interesting threat as the Jiu-Jitsu world champion is much better suited for fighting off his back then his recent opponents and a fight with Covington makes for an interesting wrestler against wrestler stylistic matchup. Usman once again showed that he is worthy of a top ten welterweight opponent and could very well be a challenger for the belt in 2018.